Did you know that as many as 200 million bison once roamed western North America? Did you know that the infamous slaughter of the great bison herds was inevitable and was actually encouraged by the U.S. Government? Did you know that the mighty bison America's largest mammal can live as long as 40 years jump over a six-foot fence from a standing position and dig as deep as four feet into the snow to feed? Did you know how Buffalo Bill earned his name and how the Buffalo nickel came to be? Did you know that Americans can still see real-life bison roundups? Did you know that there are actually three kinds of bison not just one? Did you know how the bison was preserved and where? Bison: Symbol of the American West answers these questions-and many more-about the fascinating bison in a non-scientific easy-to-read manner. 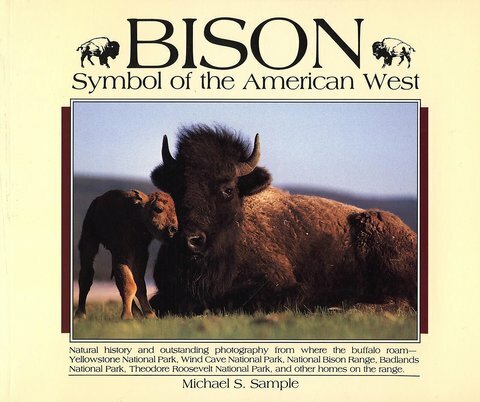 Plus it contains 52 outstanding color photos of the bison and its habitat.